Walking Stick Seat Height Adjustable And Lightweight. 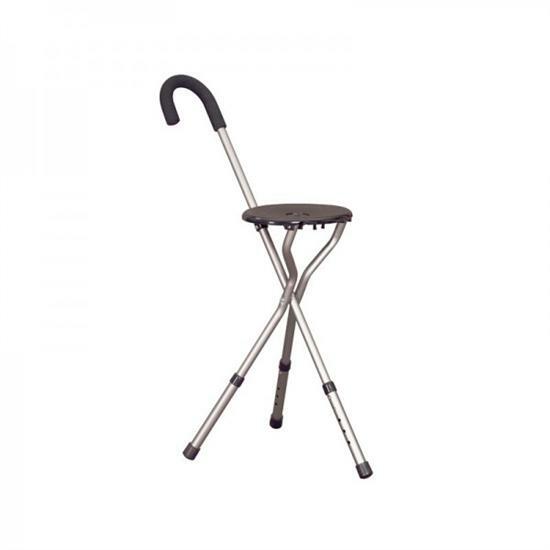 It's very simple to use - from a sturdy sitting position, the user can use one hand to easily fold the seat away and turn it into a comfortable walking stick. The stick is sturdy, comfortable and lightweight - providing the user with support while walking. It seems very satisfactory but it is not short enough for me. I am 5'2" and I need a stick about 3" shorter. It is adjustable but only to become taller!